Will Rosie ever escape from her brutal brothers? As a child, Rosie Parker spent the war years battling her brutish half-brothers Seth and Norman on the farm under the less-than-watchful eye of her father Cole. But when housekeeper Heather Farley arrives, Rosie finds a mother - and a friend - to look after her. Several years later, Thomas Farley comes to find his sister. Rosie can only tell him that she disappeared in mysterious circumstances, abandoning her small son Alan. Determined to get young Alan and Rosie out of the clutches of Cole and his sons, Thomas helps unearth a terrible truth about the family. A truth that forces Rosie away from the farm and out into a cruel world where she must somehow come to terms with her shocking past. 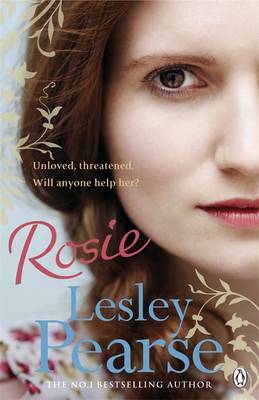 Is it possible that the man who brought ruin on her family might also bring happiness to Rosie? Visit Lesley Pearse's website or follow her on Twitter. Lesley Pearse was told as a child that she had too much imagination for her own good. When she grew up she worked her way through a number of jobs, including nanny, bunny girl, dressmaker and full-time mother before, at the age of forty-nine, she became a published writer. Since then Lesley has become a bestselling author with over ten million of her books sold worldwide. Lesley lives in Devon, United Kingdom and has three daughters and three grandchildren.